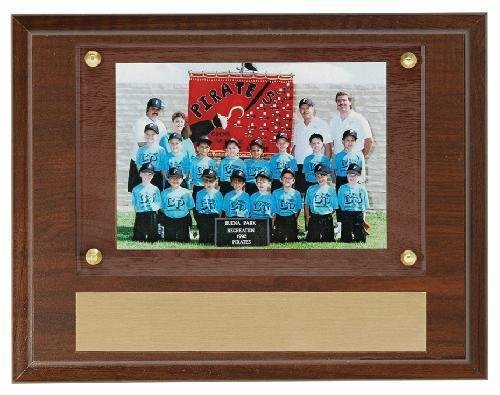 The photo area of this plaque is routed to fit your 3 1/2x5 photo. 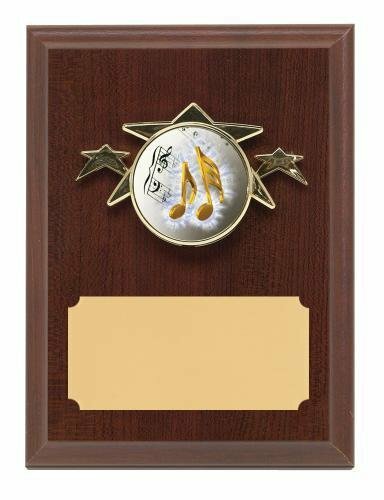 A piece of Plexiglas covers the photo and sits flush with the face of the plaque, held in place by screws. 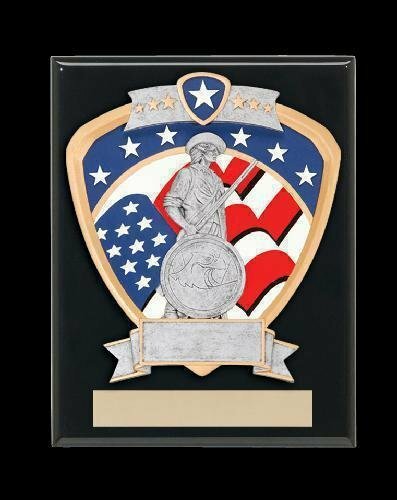 The 2-1/2" wreath on the open side of the plaque holds a 2" cross country Mylar insert. 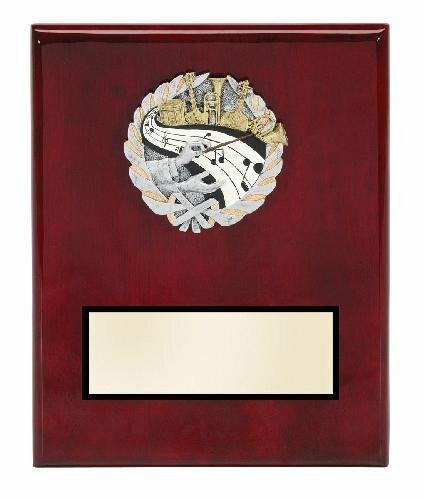 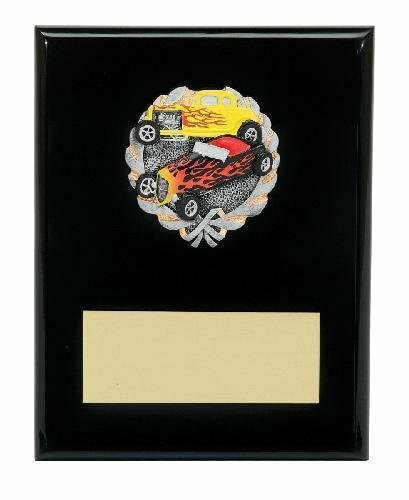 There is still ample room for a plate to add your personalization to make not only a stunning plaque award, but a way to commemorate the event in a photo.